Happy Monday! Tanya from Crafting on Caffeine here and today is my DT day. I made for you today these treats. They will be on my table for the kids. 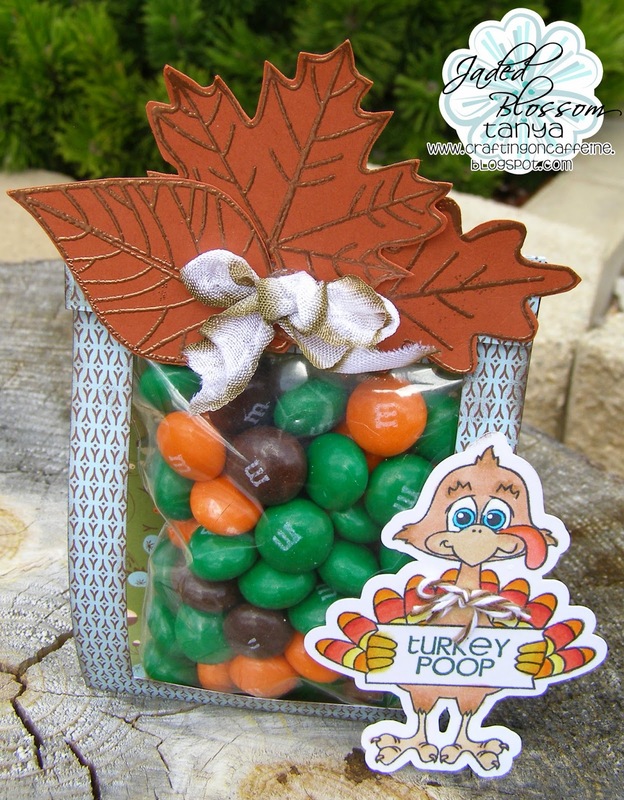 Inside is pumpkin spice M&M's, YUMMY! 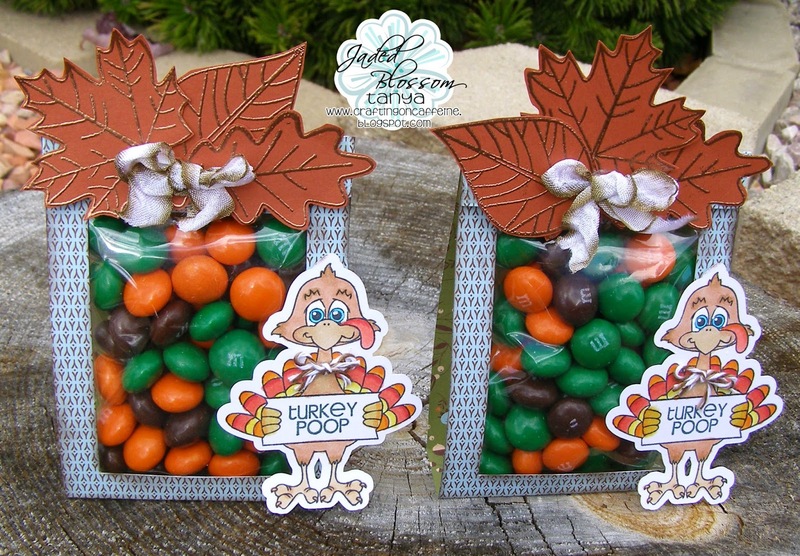 I used Jaded Blossom Turkey Poop and Autumn Leaves (October Freebie) and 3x4 bags. I used my Copics to color the turkey. It's weird to have to re-learn how to color but I'm having fun. Beautiful and funny all rolled into one. Love it. Tanya, these are adorable and you are doing awesome w/ your coloring!! !